Hi guys!! So this is a very special blog post! One of the Top 10 leaders in gamification worldwide (http://www.leaderboarded.com/gurus#.UWU4H5PwaSo) wanted to collaborate with us and answer some of the questions that as gamification students, we had for him. And the result is EPIC!!! Thanks Andrzej!! 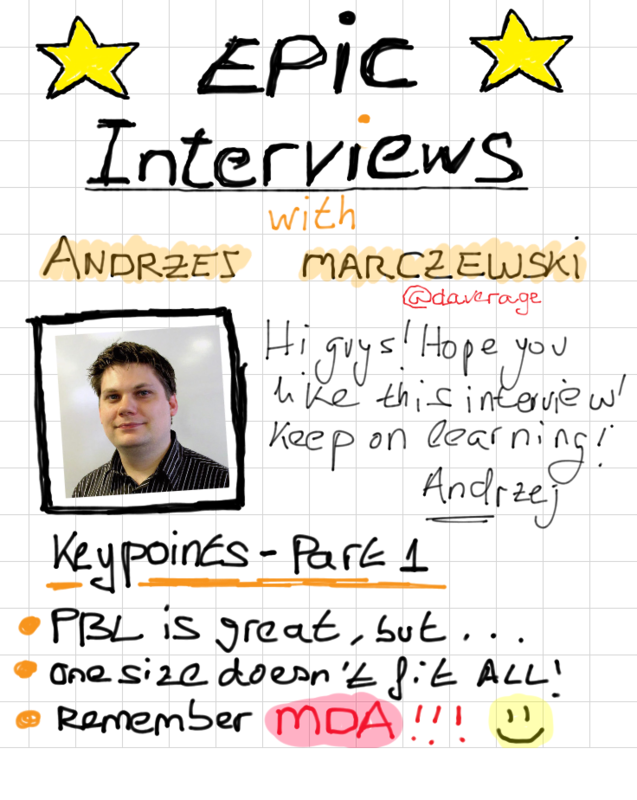 So, who is Andrzej Marczewski (@daverage)? Andrzej has been a great web developer for about 13 years and a gamer for as long as we can possibly remember. He is 35 years old, going back to the days of the Apple Mac II and Star Trek! 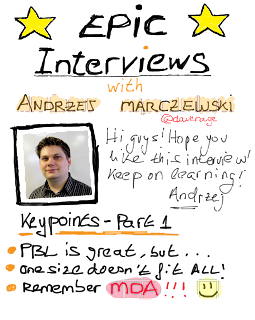 About two years ago Andrzej began to blog about social media and techy things that he liked and.... Then he discovered gamification as a concept, and got totally hooked on the idea! For two years, he has been writing about Gamification in his blog, (http://www.marczewski.me.uk) he has published a short book on gamification – Gamification: A Simple Introduction and a bit more, consulted some companies about it and been invited to speak at a couple of events with more on the horizon (SocialNow.org this month in Lisbon). So Andrzej, our first question to warm up, it seems that nowadays, whenever we hear something about Gamification; Points, Badges and leaderboards are a "must-have". What do you think of this present "mindset"? I tend to think – “ARGGGG”. They can play an important role in gamification; there is no doubt about that. The trouble is, so many people are saying: “this is all you need to gamify a system” that it is becoming the way to do it". Slap some polish on it and it will fix all out engagement or motivation issues. The truth is, there is much more to it and people need to move past this mindset. Thankfully, it is beginning to happen, but the damage is being done as people lose faith in gamification as they see these poorly thought out PBL systems fail. 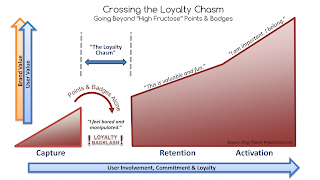 Related to this topic, do you think that there's a likely risk for gamification to become standardized, like a paint layer that we can apply to anything? How can we sort this out? I think that is already happening. There are so many plug and play type solutions. Copy this bit of code onto a site and it gives you our version of points and badges. As this continues, people will become numb to it – especially as points from one place have no relevance to points from another. It is like anything; the more it is applied, the less impact it is going to have. 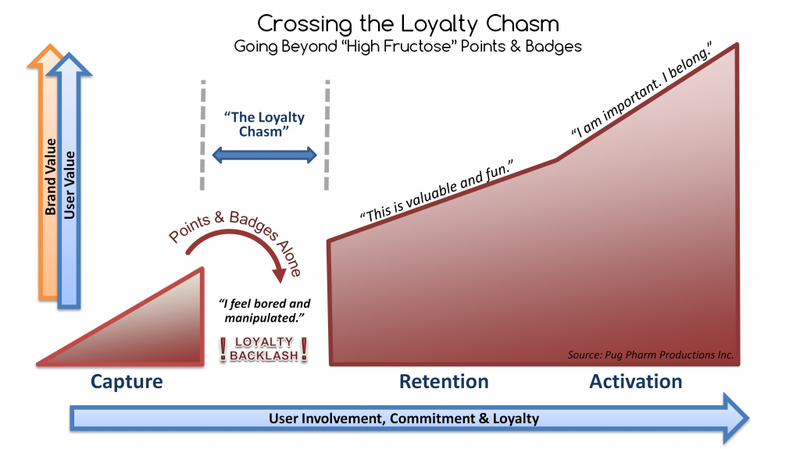 This is why people need to start considering what game thinking and gamification is really about – hooking into things that motivate people intrinsically and using game elements to support this. It is not a one size fits all type of venture. Whilst certain ideas may work for more than one application, they are not going to be universal. Different audiences require different things. It also depends on what outcome you are looking for. What works for a sales team internal leaderboard probably will not work for a company’s innovation website. Coming to the actual use of Gamification, there is a great focus nowadays on the game mechanics, but not that many sources of information draw attention upon game dynamics and aesthetics. Why does it happen? This comes from a single misunderstanding of what game mechanics actually are. This is something I took some time to look into, speaking with a few experts in the games industry (Richard Bartle, Eric Zimmerman, Ian Bogost and a few others). In gamification, we have hijacked many terms from the fields of game design and psychology. The trouble is, many don’t understand what they meant originally so just use them however they want. Game mechanics is a term used to cover almost any aspect of the outcomes and visible elements of gamification. My usual examples are the phrases “Blissful Productivity” and “Epic Meaning”. These are both spoken about as Game Mechanics. The truth is they are anything but: “Blissful Productivity is the outcome of a well-balanced system – if anything; it could be a game dynamic”. Epic Meaning is really part of intrinsic motivation – purpose. Again, it is the product of a well-made system! In fact, the dynamics and the aesthetics are all spoken about as game mechanics. Check out my post on Game Mechanics! 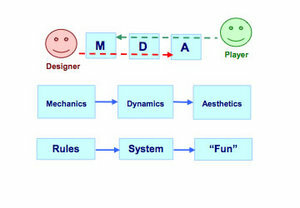 And following this discussion, which of these game MDA elements are most used today and would be in the future according to you? Well, the obvious answer is that Points, Badges and Leaderboards are the most commonly seen game elements that are in use today. Actually, when I think about it, scheduling is also used a lot as well. These are the ones where you have limited time to claim certain deals, or things happen at certain dates. It also includes the idea of unlocking goods or higher levels after certain other criteria are met (time limits, points, skill levels etc.). Related to it, goal setting and feedback are also massive. People are seeing now that setting shorter goals and building to bigger goals is hugely effective in keeping people motivated and engaged. This is then linked, with continual feedback to create a much better experience for people. It is an idea that games have been using since they first were invented. Take a game of Call of Duty. Imagine if it worked by making you shoot every enemy in the game, then at the end told you who you had hit, how many points you had etc. It would be of no interest to most. However, take the same experience but give instant feedback on your actions and levels that you have to complete before taking on the end game – suddenly you have a much more engaging experience for the player! Dont´t miss out the second part of the interview tomorrow!!! !